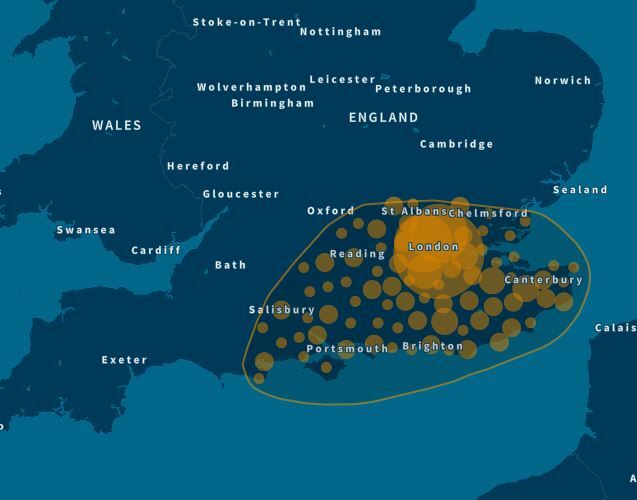 By utilising the now very large amount of data available, with 3 million plus people tested, has allowed Ancestry with large amounts of computer power to analyse results and have been able to map DNA in specific locations and follow that DNA. 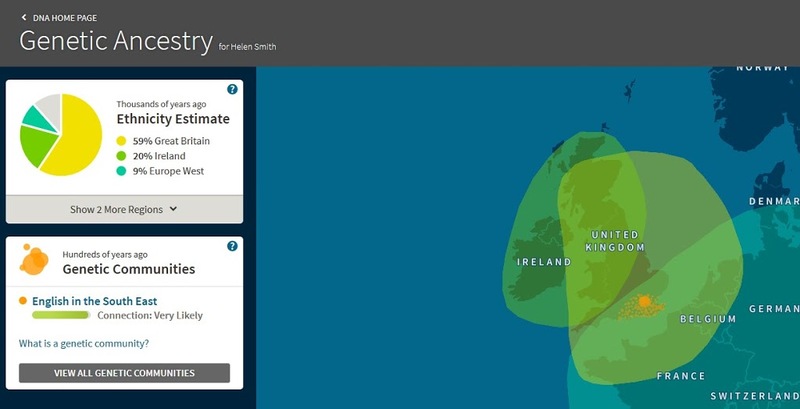 This can only get better and more detailed as more people in specific communities around the world test. 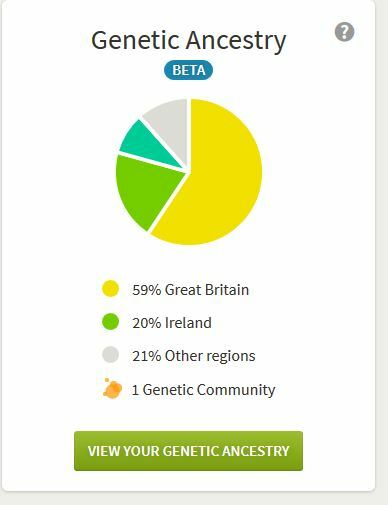 My father was born in England, my mother is a fourth generation Australian of English, Irish and Welsh origin so I would expect to have a good chance with an English community. 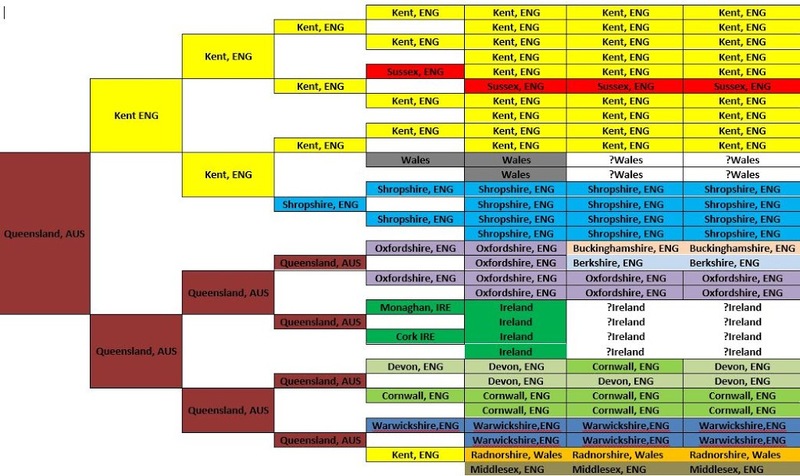 This is a chart I made of the birthplaces of my ancestors (J. Paul Hawthorne set social media alight with this awhile ago now) so as you can see Kent is very heavily represented. So looking at the ethnicity you can see there is a new information. Southern English and English in the South East and they do separate out some of my matches. Some do end up in both groups. 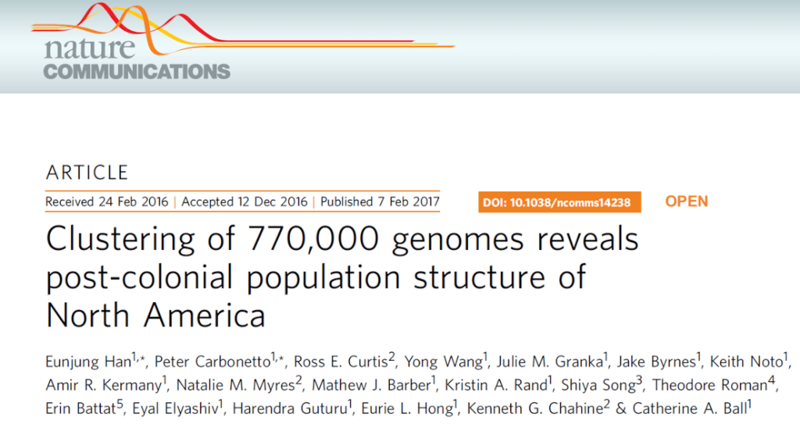 Ancestry has separated the major communities so far into Europe, North America and South and Central America then each of these has sub-groups: (I would expect this to also develop further in the future). We live in interesting times and with the advent of analysis of big data sets, enhanced bioinformatics and the use of major computing power we are going to see some amazing things in the future. Potentially this will even be in the not so distant future. 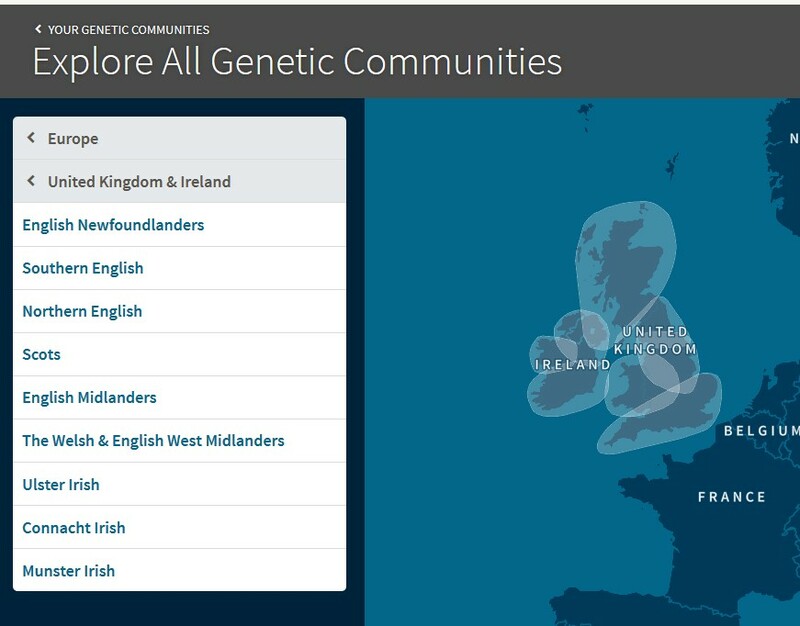 Even with all the caveats of ancestral markers and the way they are inherited and also potentially incorrect trees (the big data aspect hopefully will even that out) I can this could provide some very interesting clues for adoptees and for genealogists in general. 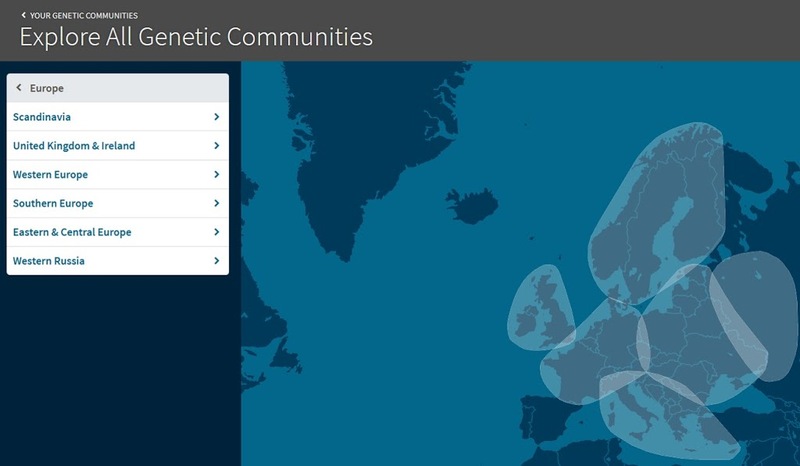 Genetic communities is a feature that will become available to all Ancestry DNA members within the next month or so (I had heard a date of 28 March but can’t guarantee that all three million users will have access by then).